Large mouth bass are a good eating fish and can be found in many clean waterways, including this nice catch from Cayuga Lake. Make an initial cut behind the gills. 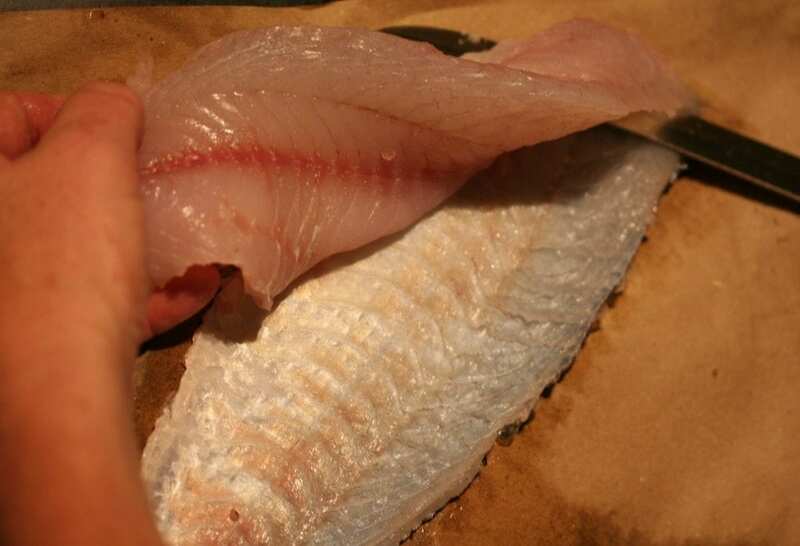 I then prefer to fillet bass from the top of the spine down, to insure I get around the rounded rib cage. 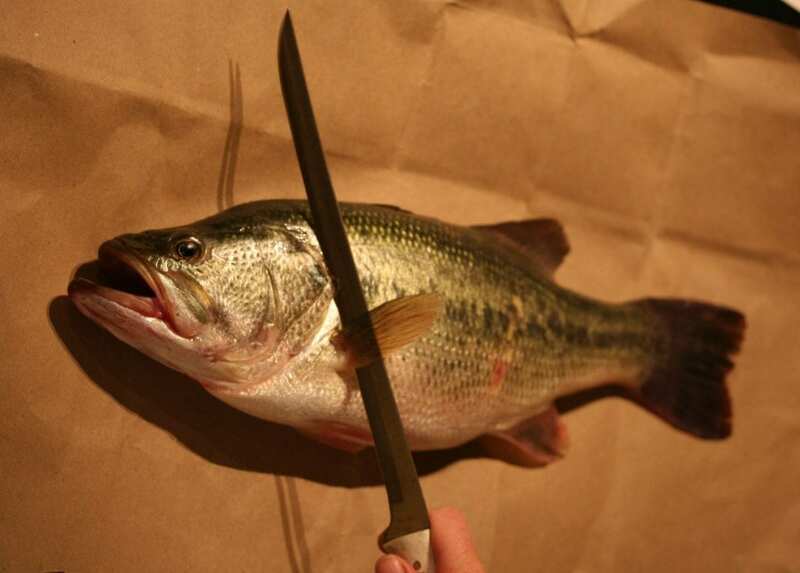 Most of the bass meat is towards the top of the spine even though they often look like they have nice, fat bellies. Run a very sharp, flexible fillet knife along the rib cage and down to the base of the tail, leaving the fillet attached at the tail. 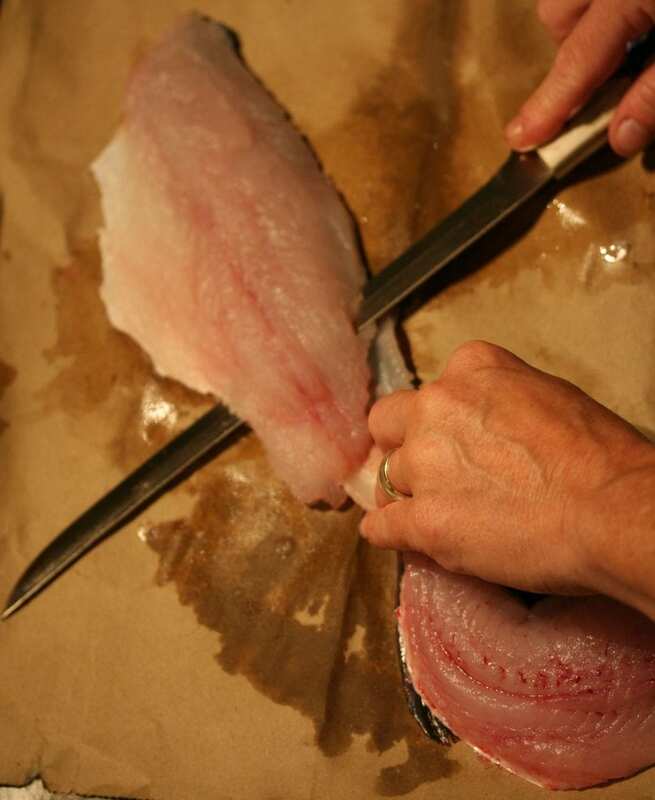 Turn the fish over and repeat on the other side, again leaving the fillet attached at the tail. 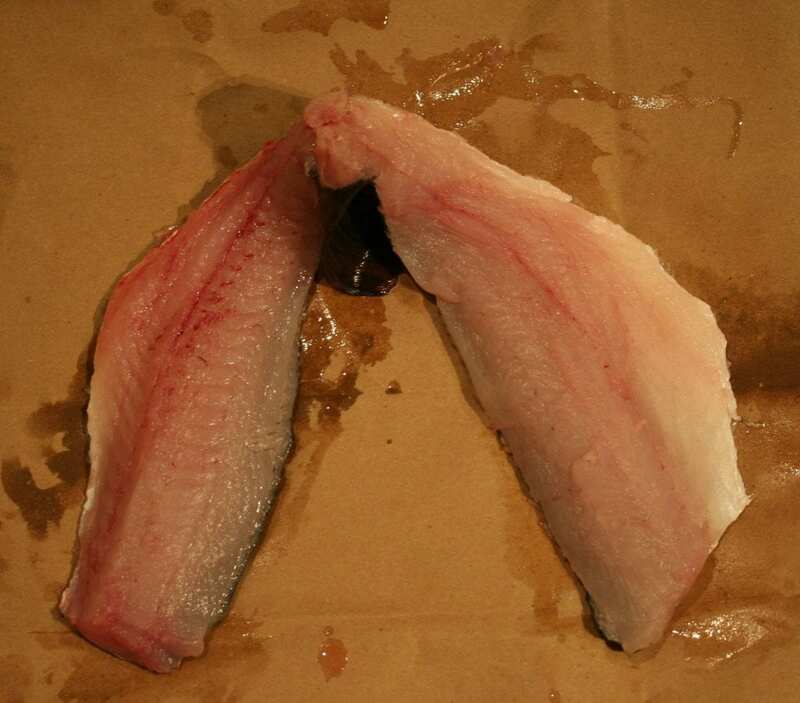 Note: This is how conservation officers want to see fillets that are crossing borders to insure that the fillets are indeed from one fish! 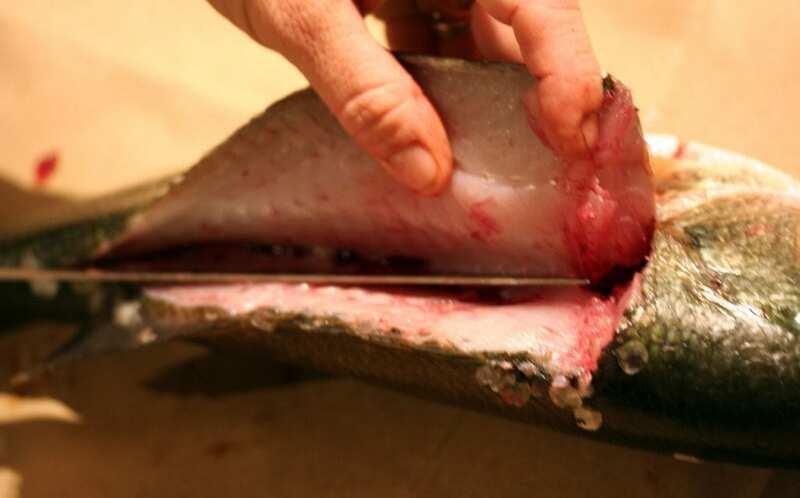 Then at the tail where the fillet is attached, carefully run your knife at an angle along the skin to remove the fillet from the skin. Do this on both sides and you have two lovely bass fillets. 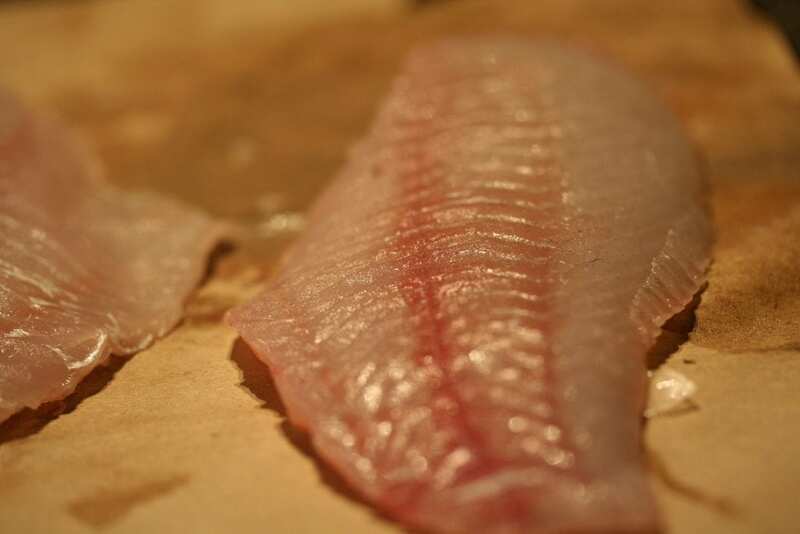 Want more from your catch than just two fillets? 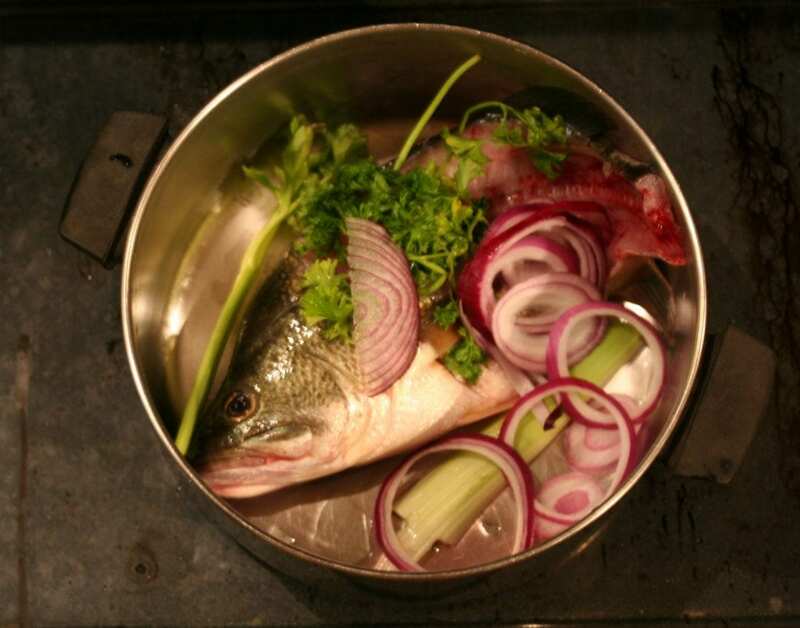 You can make some fish stock to use in a sauce,soup or chowder! 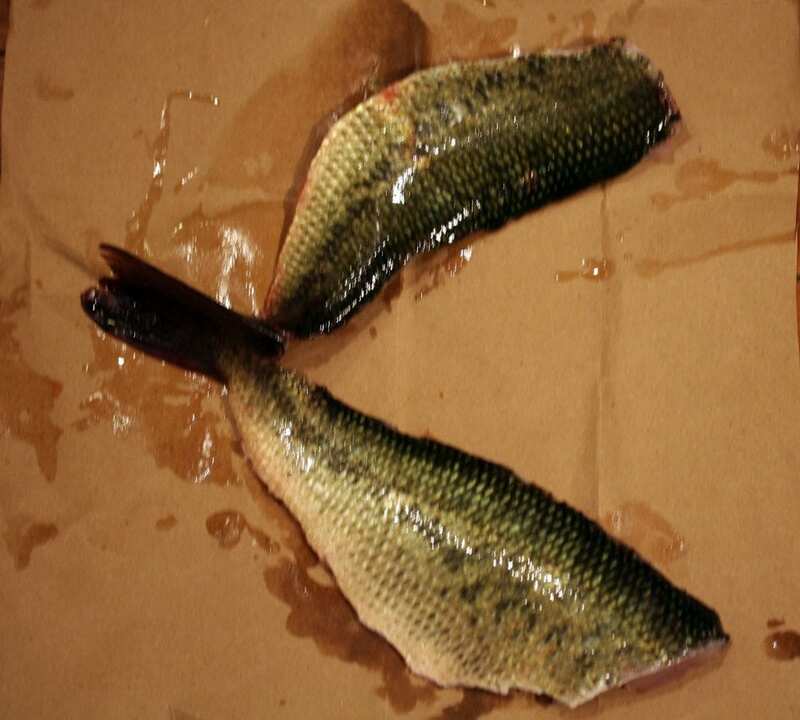 Remove and discard the entrails from the bass carcass and then rinse cavity and fish thoroughly. Add cleaned fish to a large stock pot, along with some onion, parsley, some celery tops, a clove of garlic, a pinch of salt, and pepper. 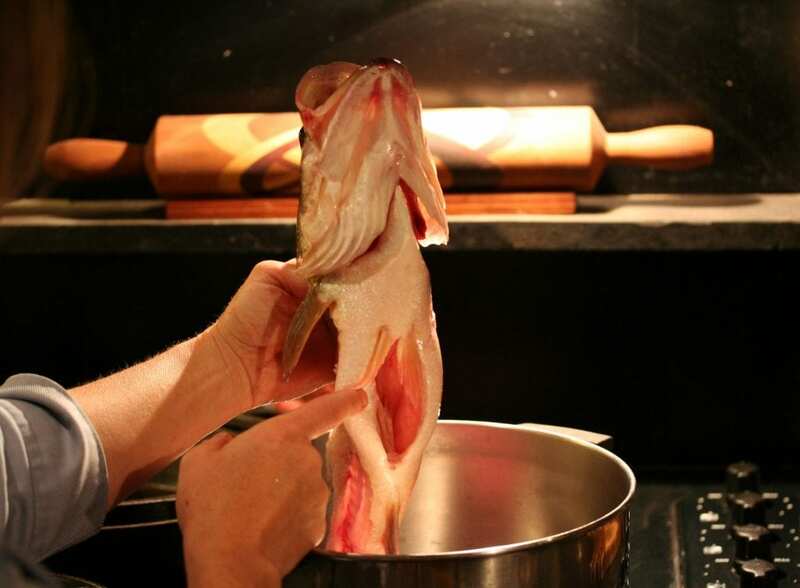 Cover fish with water and gently simmer for about 20-30 minutes to make a fish stock. Strain the stock through a colander and again through some cheese cloth. Fish stock can be stored for a few days in the fridge or frozen for later use. If I did not see the next picture, I was under the impression that I was putting the thoroughly rinsed entrails into the pot. 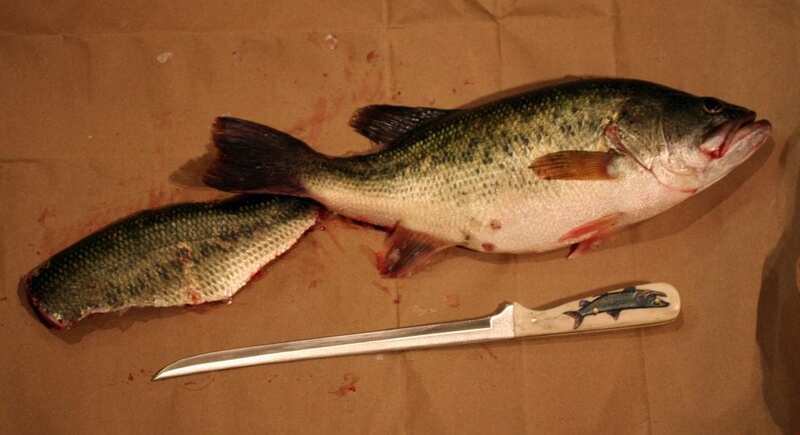 Perhaps it should read “to remove and discard the entrails and thoroughly rinse the bass carcass”. Thank you for your valuable feedback. The change has been made!